Treat your relationships as creative processes. Discover the loving style that is right for you. This is something that doesn’t depend on finding the perfect partner; instead it means meeting your partners where they are. It involves being awake, not inhabiting a dream world inhabited by “soulmates” and “happily ever afters”. We see this as an ongoing practice, one that involves developing skills and honing them over time. There’s no direct path; you may make mistakes; you may sometimes fall short; but if you stay with it, you will be rewarded. 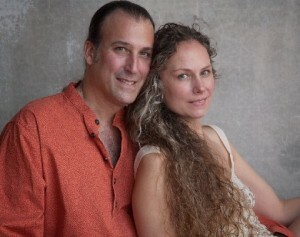 We work privately or via Skype with couples and moresomes and offer a variety of public workshops and lectures. For the more visually oriented, our instructional DVDs are a great introduction to techniques inspired by Tantra. 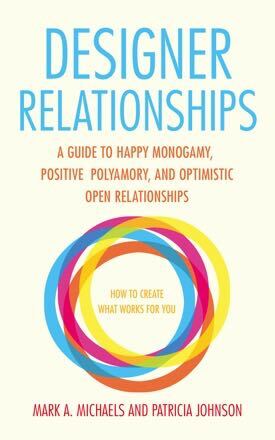 Designer Relationships: A guide to Happy Monogamy, Positive Polyamory, and Optimistic Open Relationships. How to Create What Works for You.